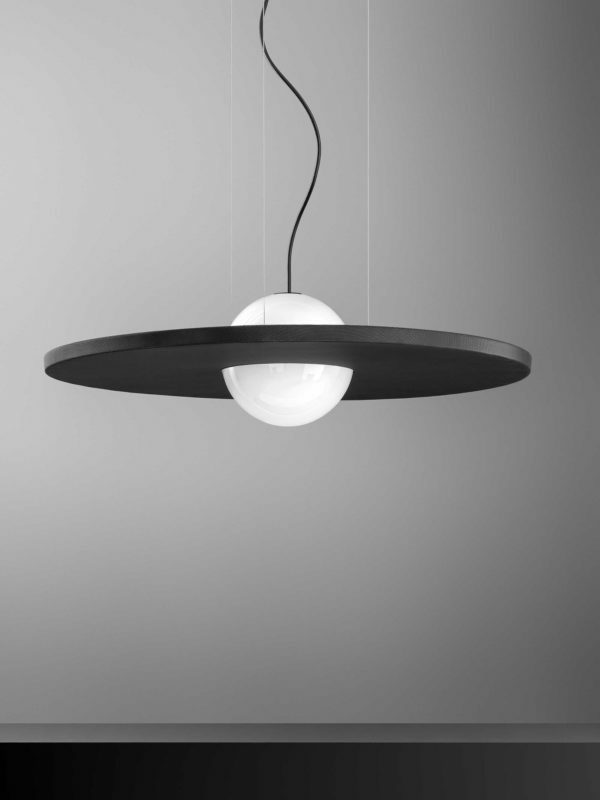 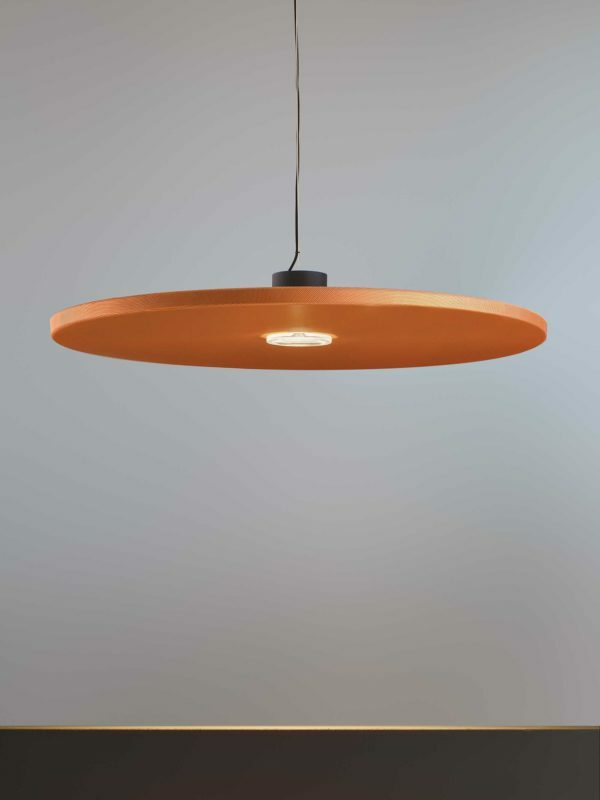 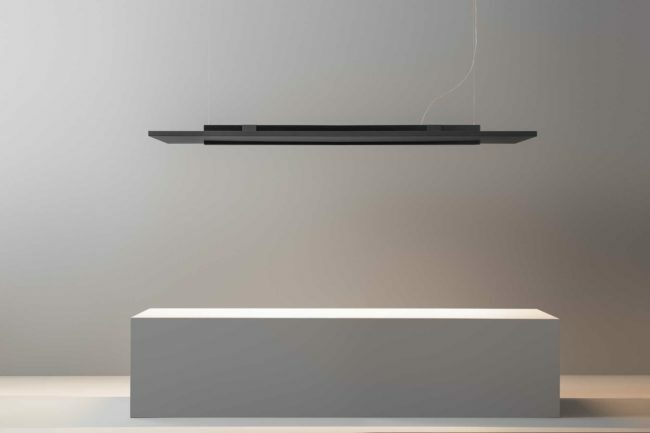 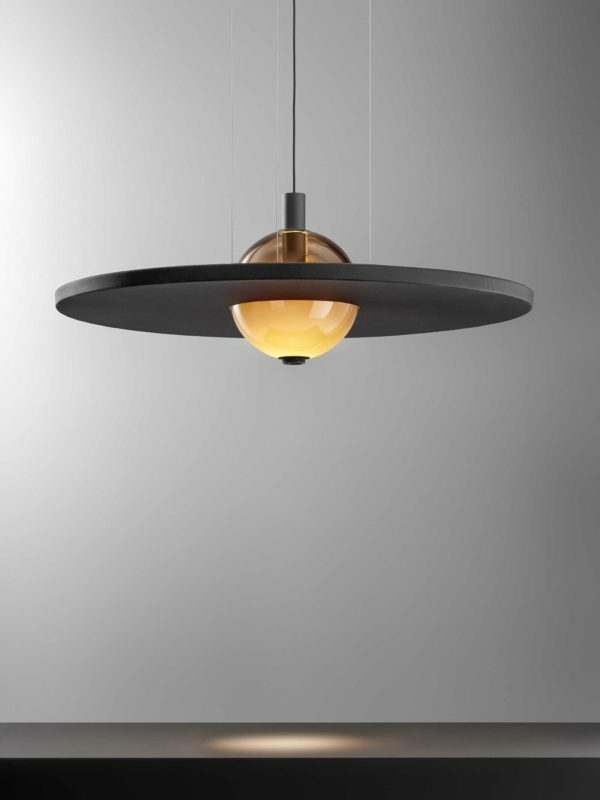 Stage Horizontal Silence is a suspension lamp with horizontal development that integrates sound-absorbing properties. 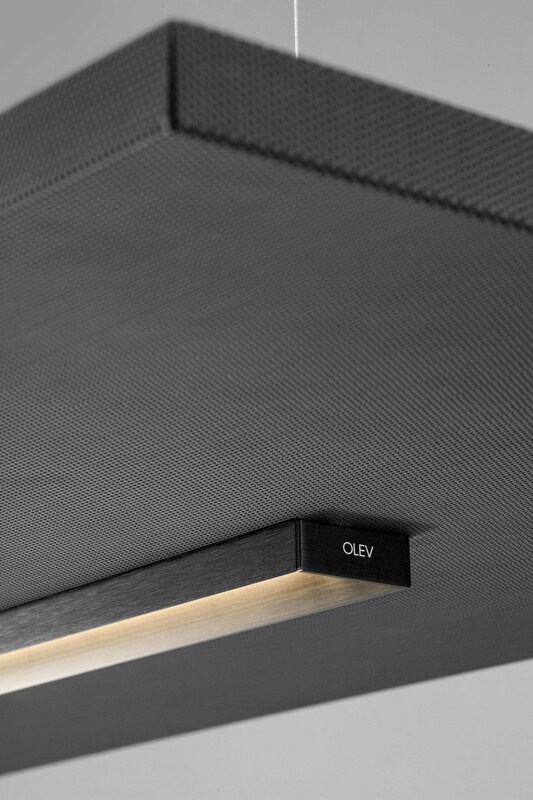 It consists of a micro-perforated metal sheet and an aluminium profile that houses the linear LED light source. 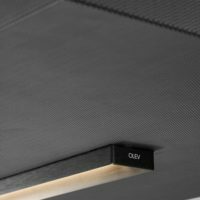 The lighting thus joins a wider functionality, creating an ideal light point for all environments with a high number of visitors, where noise control is required.